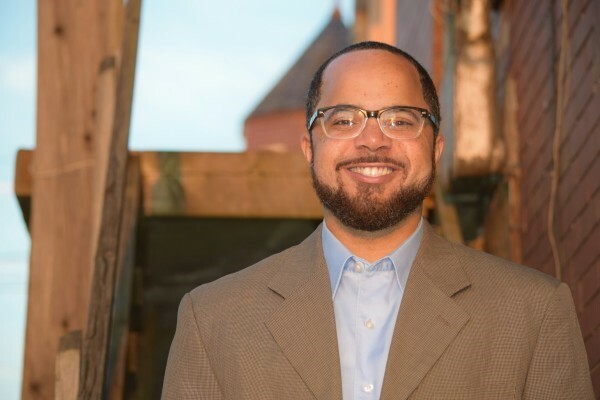 Recently we interviewed Julius Boatwright, and we featured the first part of his interview yesterday on the blog. Here is Part Two of our sit down. On the main page of your website you cite a statistic that the African American rate for serious mental illness in Allegheny County is higher than the national rate. Has your work helped elucidate why this is the case? I had a little bit of an understanding of that prior to my work. Pittsburgh is so segregated; there’s a lot of talk about equity and inclusivity, but it doesn’t always work that way. It sounds really good on paper, but what is equity? One thing that I have been trying to be very intentional about is keeping in mind that as our conversations grow and more people get involved, this doesn’t mean that we are more “equitable.” I still go out and talk to people the way that we started two years ago. To me, even though I am only one man, I envision having an army of people like me. We’d share a similar approach to sharing conversations, collecting stories, and collectively rewriting the narrative. To your question, that is the only way to keep everyone’s voice heard. I go to so many meetings and community conversations. There are very few people who are actually on the ground, in the trenches, knocking on people’s doors. This is truly meeting people where they are at. So, I am trying to be intentional about asking people what their story is and going from there. We can really make a difference in the black community using this grassroots approach. It’s not always about policies and delivering care packages; it’s about letting people know that they are valuable and that their story deserves to be heard. You’re letting them know they are not just part of the statistic. Dr. Radovic, the founder of SOVA, has experienced generational differences in attitudes regarding mental health treatment in her clinic, and she was anxious to see if you had similar experiences. Do young people tend to be more open—or more resistant—to discussing mental health, in your experience? In our community conversations, we are trying to have an intergenerational experience, where we equally value the areas impacting our youth and our elders. We want to counter the “you don’t understand me” mentality because everybody’s challenged with something. We are breaking down generational barriers and creating a shared language. Even high level professionals have problems too. 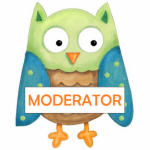 I was speaking with a CEO at my last community conversation about their self-hidden struggles with anxiety, and with another CEO about their depression. All of our stories matter, and everyone deals with mental health challenges in some fashion. You and your team at Steel Smiling have accomplished many goals and broken down barriers in just two years—not even! What accomplishment are you most proud of? We’re proud that the community is embracing it! Now, the community is involved and we are bringing everyone together and creating a shift in the mental health culture. In some ways, we are making mental health “cool,” as silly as it sounds. 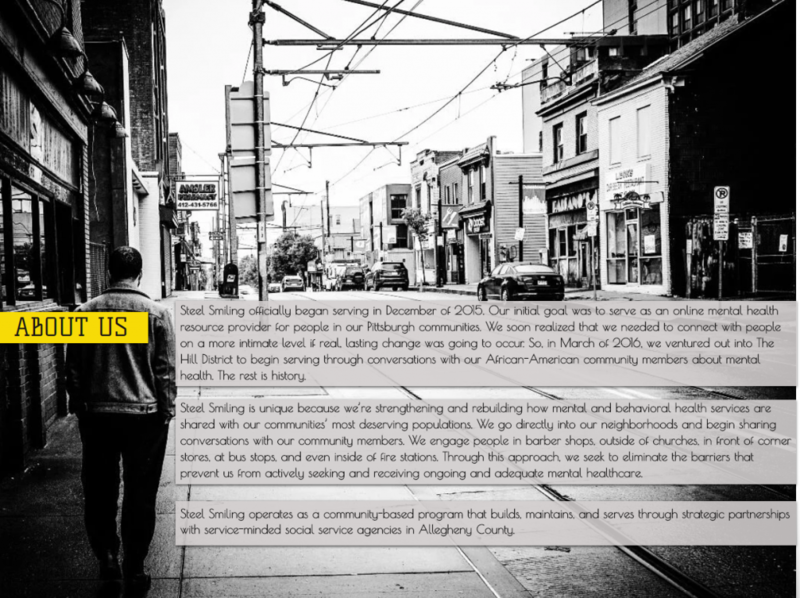 Now Steel Smiling is a community, and there is unity in our communities. What do you envision for Steel Smiling in the future? I envision a shared culture of community and growth. How can we collaborate with individuals from all communities, whether they be in college or the workforce, to empower them to be mental health advocates? We want to create an army to provide support in our community. Our short-term goal is to continue hosting our community conversations and keep meeting people one-on-one through our street therapy program. If you were the head of the Substance Abuse and Mental Health Services Administration, what would you implement to help combat the problems you’ve encountered as a social worker? I would say everything has to involve people on the ground. When lawmakers and politicians meet to discuss policies, the audience must include community members too. So, what do you do if someone is not ready to discuss mental health yet? I try to be mindful and encourage informal therapeutic support. I’ve had people ask me “Who sent you? !”— because not everyone is ready. I try to let them know that it is a safe space and in the end, they make the decision to open up or not. If you had an opportunity to speak to the world about mental health, what would you tell them? I would say that it doesn’t discriminate and shouldn’t be stigmatized. Mental health isn’t a bad thing because we’re all impacted by it. If you asked anyone how their life has been changed by mental health, they would have an answer. We need to think about mental health on the same level as physical health, because everyone has something. Ultimately, we need to be more proactive in our approach to care. If you were in my seat and could ask yourself one question in this interview what would it be? And what would be your answer? I’m so committed to work, and I don’t know if that’s the right word to use. I feel like the clock is always ticking and I’m always thinking there is something I could be doing for the community. I don’t understand it when people say they are bored, because there is always so much to do. I’m learning that I cannot do all of this work without taking care of myself. Recently, I’ve been focused on getting in touch with my five senses. I’m practicing mindfulness and getting better at telling myself to take a break. I’m also focused on contentment and understanding “what will be, will be.” I’m embracing that and being happy. Do you have anything else you want to tell our readers? If you feel like you need support, know that it’s okay and there are people out there available for you. Also, it’s normal to hesitate to take this first step. Be okay with taking this initial step, because it will probably be the best decision of your life. 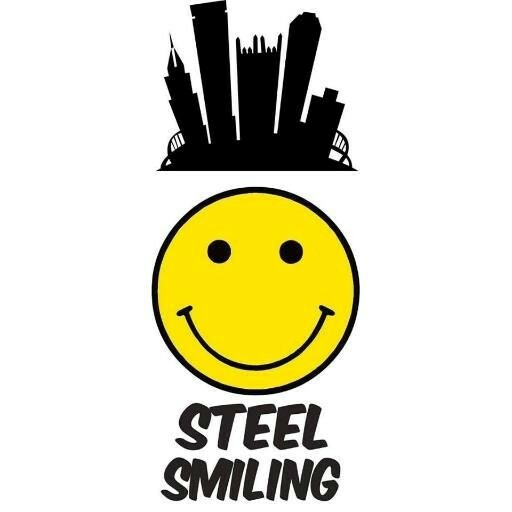 Check out Steel Smiling and the amazing work Julius and his colleagues are doing! Do you have any additional questions for Julius? What are you thoughts about the work he’s doing? Julius and the SOVA Project would love to hear from you!